Natsumi stars in the "Cosprayers" show as Miko Red Rayer (Koto Hoshino). She is 17 years of age and is under the belief that she was only enlisted for her looks and that her acting is of poor quality. 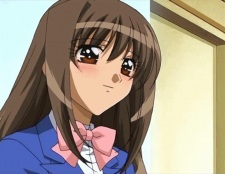 Yagami is aware that Naoko is the script writer and seduces him to gain more roles in the show, but then falls in love with him after she sees how much of a good person he is.